Trusted Orland Park complex divorce lawyer. Look us up at Yelp! Divorce is never easy. However, for couples with a large number of assets or with a high net worth, the process becomes even more complicated. Those who have a more complicated situation or have many assets require help from an Orland Park complex divorce lawyer. A lawyer who focuses in family law and complex divorces is more experienced at handling the many complications that can stem from divorce. Many times, a complex divorce arises simply because of the length of the marriage, during which time the couple has accumulated substantial assets and property. Other times, just the couple’s net worth may be at stake, regardless of the length of the union. Many different issues can create an acrimonious situation. The skilled attorneys at Johnson & Johnson, Ltd. know how to handle even the most complicated divorce situations. The goal in the divorce is to come to a reasonable and equitable division of property that is fair to both parties. When problems arise, however, they can make the divorce process longer and more stressful. 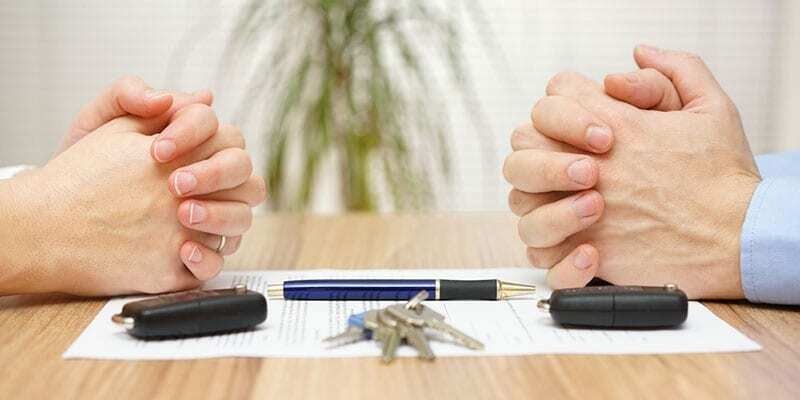 If these or other difficult problems crop up they can be resolved more easily with assistance from an experienced Orland Park complex divorce lawyer. Your attorney will help identify and address potential problem areas before they become problematic, making for a smoother and less stressful process. Illinois divorce laws call for an equitable distribution of assets in a divorce. Money and other assets that were accumulated during the marriage are considered marital property and therefore must be properly dispersed. The first step is to identify the marital assets so that they can be properly distributed. You will need to list all assets along with their current value at the time the couple separated. In some cases, it is beneficial to enlist the services of a reputable financial professional. This can save time and money as the divorce progresses. A skillful Orland Park complex divorce lawyer understands that some assets may be unknown and will help you make sure that all of your property and assets are properly disclosed. Along with your Orland Park complex divorce lawyer, you will work to try to limit the negative impact of divorce on your financial situation. Ideally, both parties will be able to come away with a fair and equitable settlement that allows you to continue to live in the manner to which you are accustomed. In some cases, the home will be sold and profits distributed while in other situations, one party will buy the other out of the home and continue to own it. This type of compromise must be achieved for all the various property and assets that are owned by the couple. Unfortunately, complex divorces or those involving high assets are often the cause of discord. Financial impact is the most common cause of contentious or stalled divorce proceedings. It is essential to try to identify and address potential problem areas as quickly as possible in order to get the best resolution. A knowledgeable Orland Park complex divorce lawyer understands these areas and will work towards a favorable outcome for their client. On the forefront of everyone’s mind during a divorce is keeping the assets they are entitled to. You deserve to continue to live the lifestyle you have built over the years and a divorce should not hinder that. No matter the factors governing your divorce, your Orland Park complex divorce lawyer is on your side to ensure that your interests are protected. You do not need to settle for less. If you are going through a high asset divorce or one with complicated issues, count on the compassionate legal advocates at Johnson & Johnson, Ltd. We are on your side, guiding you every step of the way to make sure that you have a favorable result. Contact Johnson & Johnson, Ltd. today to schedule a consultation with our experienced attorneys.